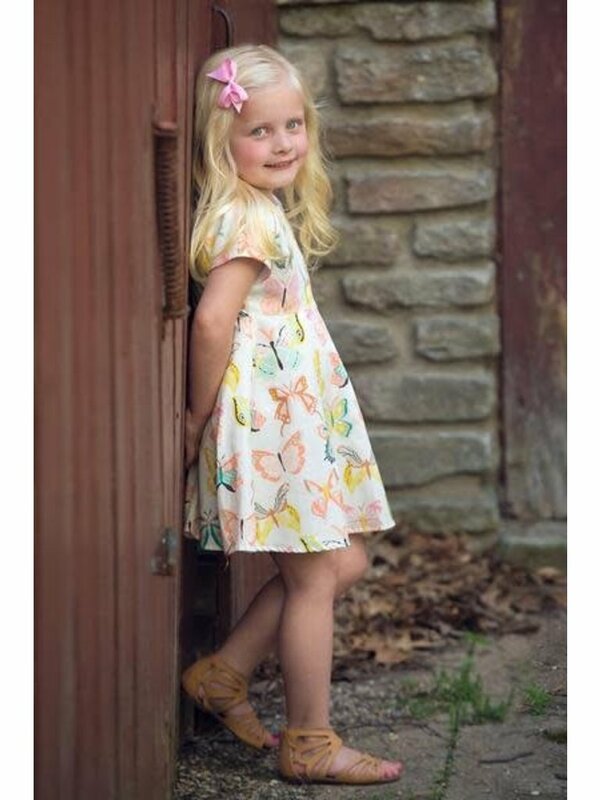 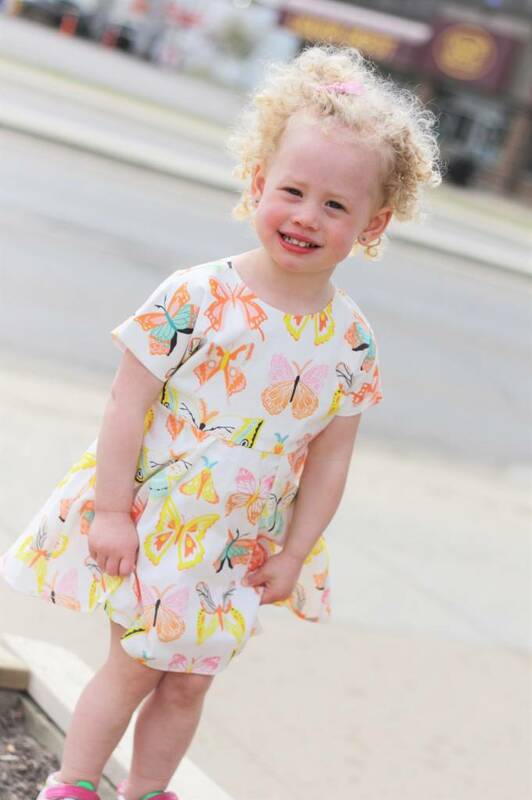 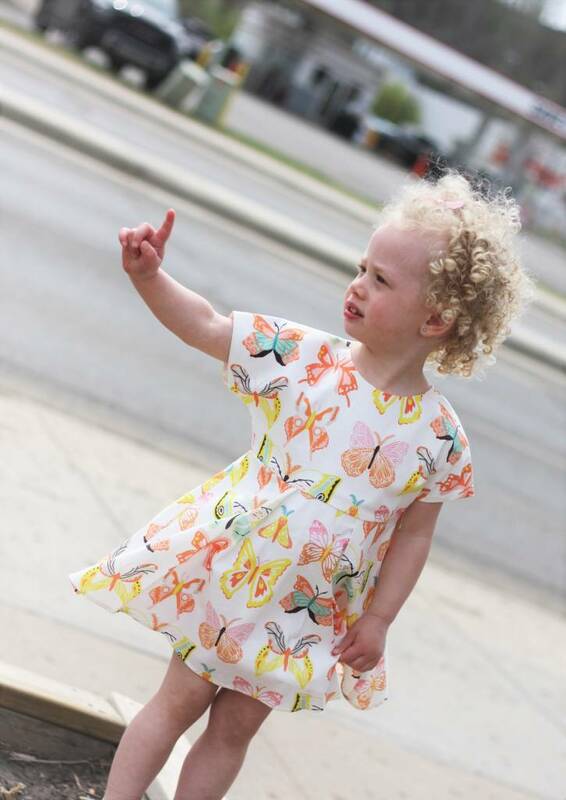 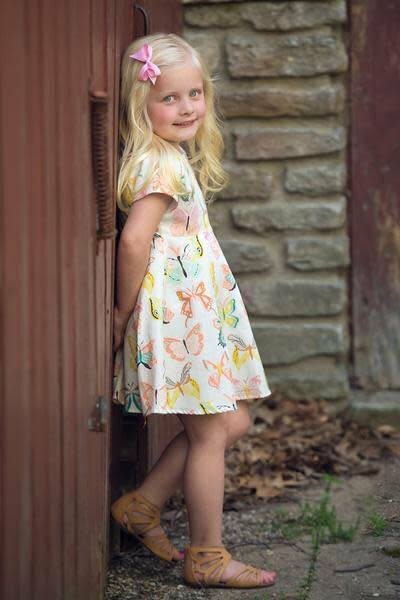 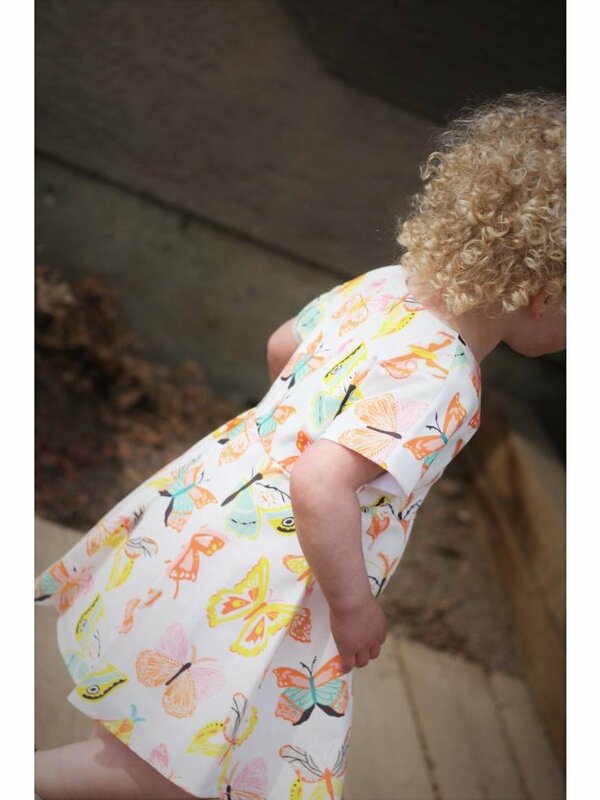 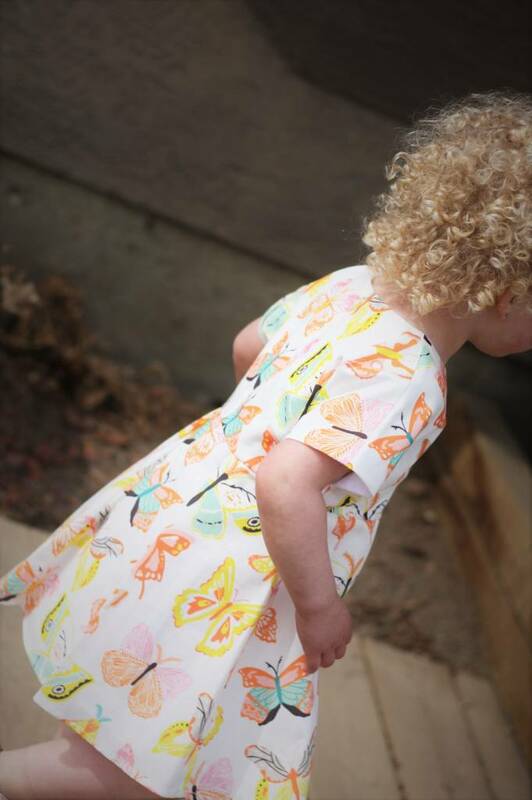 This vintage butterfly linen dress is a sweet a-line shape with a short sleeve detail! The tapered waist features a few pleats that add that pop of detail and shape! 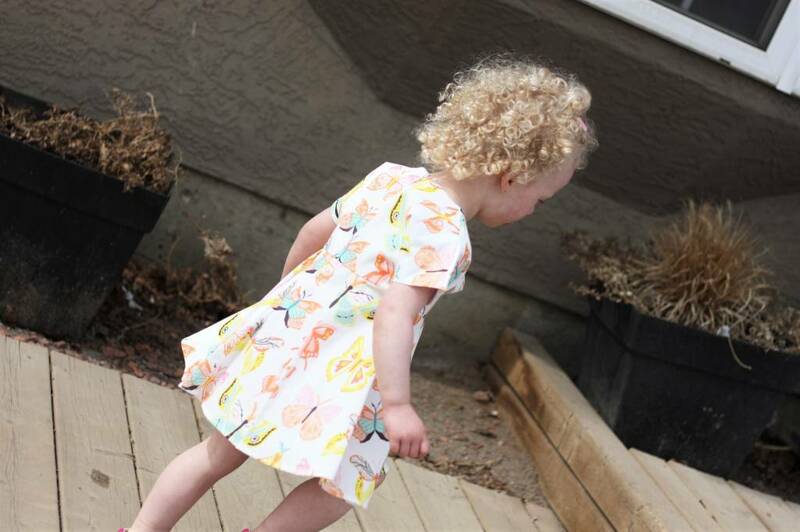 The zippered back makes this dress a must have for quick dressing in the busy mornings! 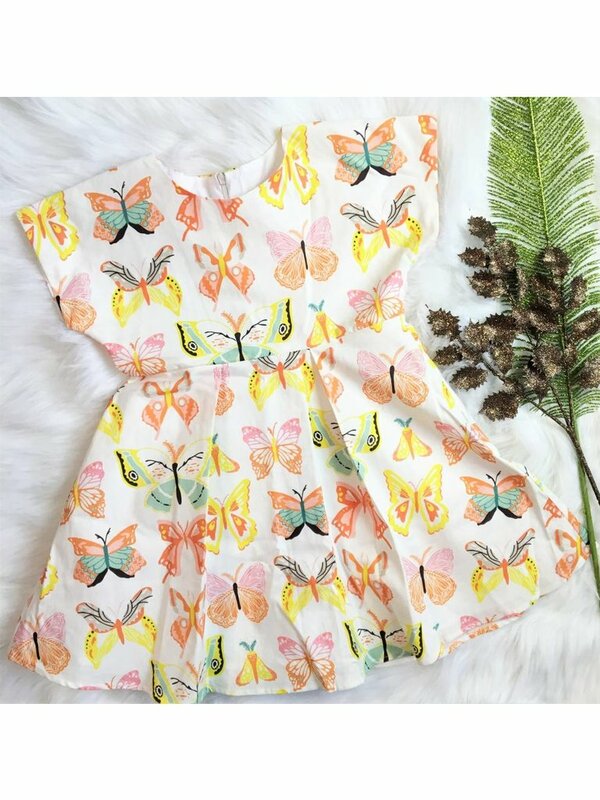 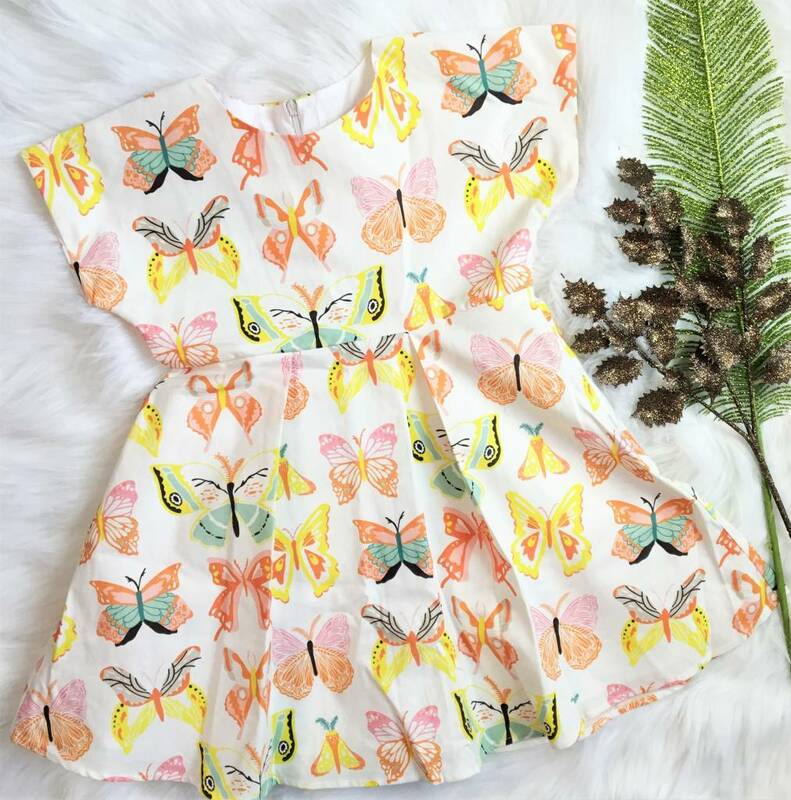 What a great piece to wear with shorts or a capri all summer and come fall as she grows it will turn into an adorable peplum top! 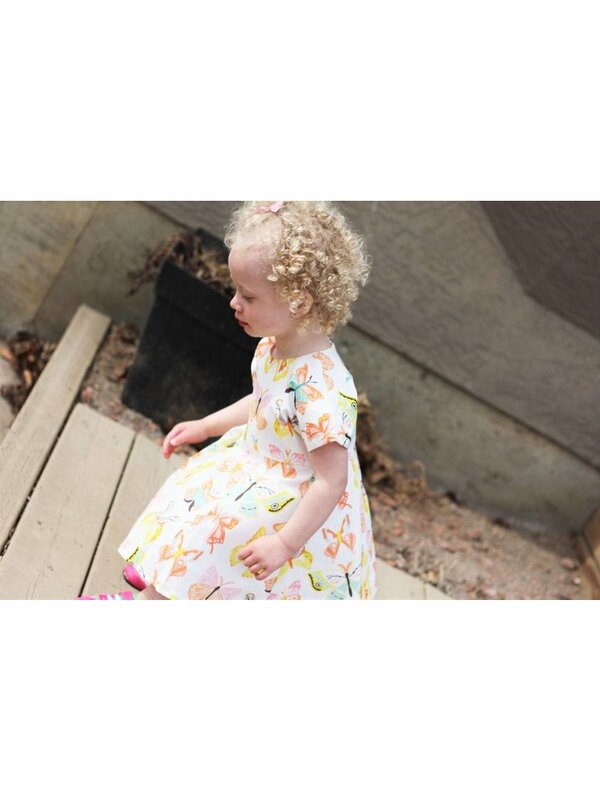 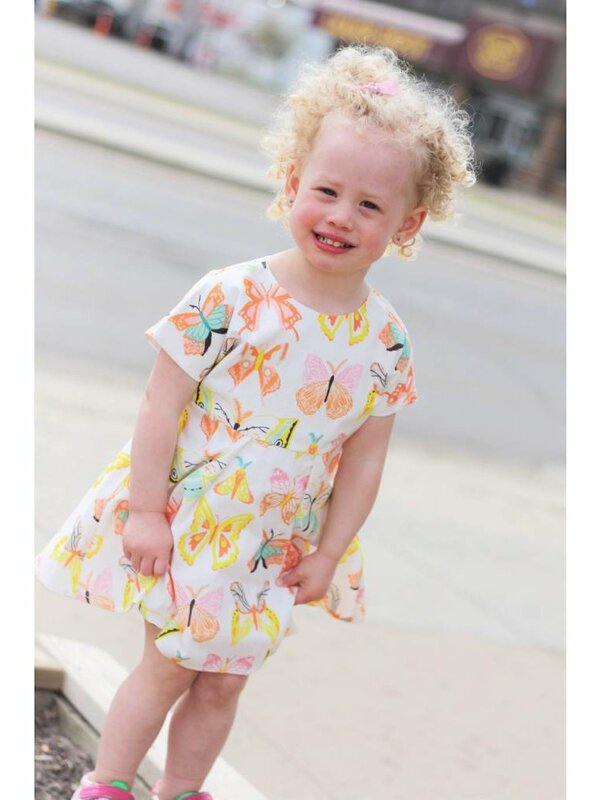 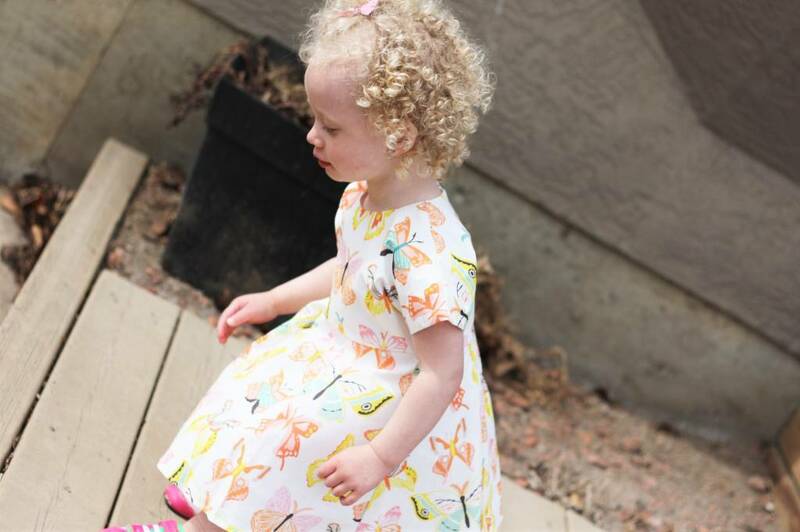 Mabel & Honey does tend to fit on the smaller side or "true to size" for a petite girl.